ROM – Range of Motion is the range through which a joint can move or be moved. Range of Motion testing is performed to determine whether the range is limited, normal or excessive. 2. To determine whether or not there is pain present in that motion, and if so, the location, quality, and intensity. The ‘normal’ / uninjured / unaffected side is tested first. Warn patient that movements may exacerbate symptoms. Give patients clear instructions before each test is performed. 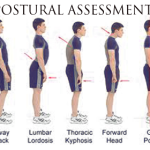 Correct and stable positioning for both yourself and your patient. Perform as many tests that have the patient in one position as possible, before repositioning the patient. Active tests before passive tests. If no pain or limitation exists in Active Free (AF) Range of Motion, further Range of Motion is not necessary. — may apply OVERPRESSURE to determine END FEEL of the joint. Any movements that are painful, assess them last. This prevents overflow of painful symptoms and helps to ensure patient compliance. Resisted Isometric movements are done with the joint in a neutral/ resting position. Never stress the structure beyond the point of Pain. The patient actively moves the joint through the motions, relating at which point the pain occurs in the available range. AF ROM Testing is used to test the inert/non-contractile and contractile structures. Contractile structures are body tissue structures that are capable of contracting on demand or involuntarily. Examples of contractile structures are the complex of muscle belly, musculotendinous junction, tenoperiosteal junction and their innervation. Inert/ Non-contractile tissue structures are all the other tissues: bones, ligaments, nerves, blood vessels, cartilage, fascia, bursae, joint capsule capsule and synovia. AA ROM testing is used when the patient’s strength has decreased due to injury or pathology. the massage therapist assists by supporting the limb as the patient moves within the pain-free range. PR ROM testing is used to test the inert structures (bones, ligaments, nerves, blood vessels, cartilage, fascia, bursae, joint capsule, synovia). The therapist moves the joint passively throughout the motions of that joint, noting any restrictions or hypermobility in the range. PR ROM testing must be performed carefully and gently. The patient must remain relaxed. In this test, the patient relates at which point pain is felt. PF ROM testing is used to test the end feel. when the end of the available passive range of motion is reached, the massage therapist applies a gradual controlled pressure (overpressure) to assess the quality of the tissue resistance to motion (end feel). The AR ROM test is used to test for strength and contractile tissues ( muscles, tendons and attachments ). either the patient is asked to contract the muscles while the therapist resists to prevent movement from occurring. OR the therapist exerts pressure against the patient’s contraction so that the patient prevents movement from occuring. **note: with injury only use submaximal strength. full strength testing is done on healthy individuals only. Review Contraindications to ROM testing e.g. acute injury, chronic dislocations, fractures, rods or pins, prosthetics, joint replacements, joint fusions, ligament repairs etc….